While there are very few loans specifically marketed toward seniors, there are indeed loan products that are available only to senior citizens of a certain age. People on fixed incomes - senior or otherwise - will find it challenging to get approved for most traditional loans. The most popular loan specifically for seniors is the reverse mortgage, also known as a home equity conversion mortgage. Simply put, a reverse mortgage utilizes the equity in the home; the borrower receives either monthly payments or a lump sum. Available only to homeowners who are age 62 or older, the money received from a reverse mortgage is not taxable as income, and the home remains in your name. The obvious benefit of a reverse mortgage is that it provides funds without the borrower needing to make monthly payments on the loan. The loan is not payable until the borrower dies or sells the home, so for senior homeowners on a fixed income, the funds from a reverse mortgage can help ease their finances and make life a little more comfortable. A home with a reverse mortgage cannot be left to beneficiaries unless the loan is paid off, so children or other relatives can't inherit the home. This type of mortgage uses the equity in the home, which lessens the wealth of the borrower and makes the equity unavailable for use in the future. There are some fees associated with a reverse mortgage, much like traditional mortgages, such as origination fees, and in some cases, mortgage insurance. 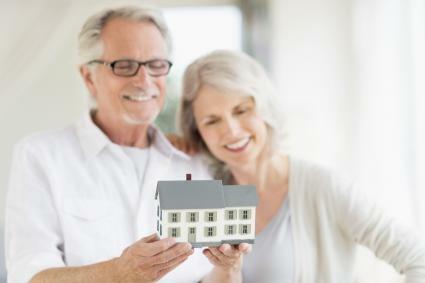 The home must be the senior's primary residence and must be in good condition. Borrowers must attend a meeting with an approved HUD counselor before they can get a reverse mortgage. Borrowers must also qualify for this loan financially; they must prove the ability to pay for the property taxes, insurance, and the upkeep of the home. Signature loans - or unsecured loans - can be difficult to get approved for without a steady income. Those on Social Security or pension incomes may be able to get a loan if their debt-to-income ratio is low and their credit scores high; note that the Federal Trade Commission has rules in place to protect seniors from getting denied for a loan based solely on age. Signature loans can have low-interest rates, depending on the financial institution and the credit score of the borrower. It's a good way for seniors to borrow a lump sum and then pay it back in installments. These loans typically don't have application fees or monthly fees beyond the interest. Obtaining a loan from a bank or credit union with which you already do business may result in a reduced interest rate. As with any loan, a signature loan will increase your debt-to-income ratio, which may lower your credit score. Installment loans like these are for only one lump sum; there is no revolving line of credit from which a senior can pull more funds. 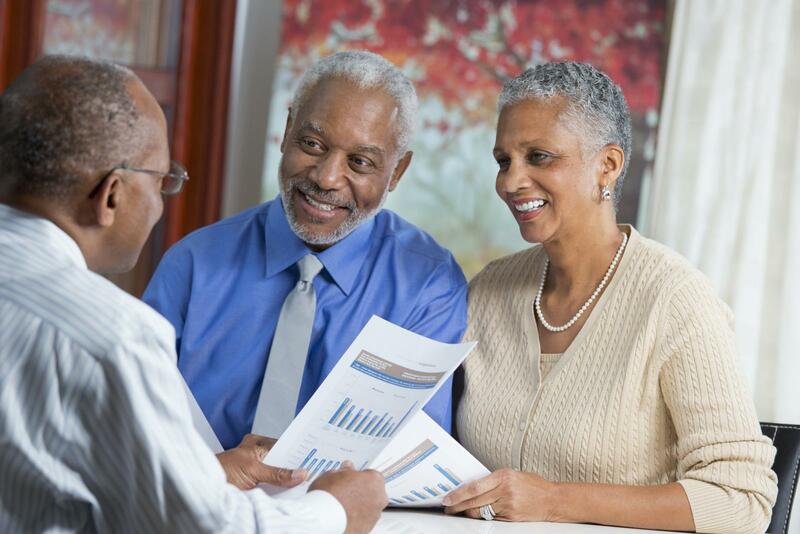 Using collateral - typically a CD or savings account - can be a good way for a senior to get a loan despite bad credit. These loans are issued by financial institutions (like a bank or credit union) and differ from payday loans which use a post-dated check as collateral. These types of loans can work well for seniors who have money sitting elsewhere that they can't access without steep penalties (such as with an annuity, cash-value life insurance policy, or a CD). Securing the loan with this type of collateral may result in a lower interest rate than with an unsecured loan. It may be easier to get approved for this type of loan despite low income or some credit issues since the loan is secured by the collateral. The biggest issue with secured loans is, of course, the loss of collateral if the loan payments go into default. This can cause even bigger issues if the collateral is a fund that will incur steep tax penalties or forfeiture of interest earned if cashed out early to pay the defaulted loan. It's also important to note that the funds securing the loan aren't available for the duration of the loan repayment, so a loan secured by a savings account makes that amount of the savings inaccessible. Seniors wanting to return to college are eligible to apply for student loans - there is no maximum age for these types of loans. It's also important to note that seniors are also eligible for federal and state financial aid; those living on a fixed income may find they are eligible for a good amount of financial aid to cover expenses related to pursuing higher education. Some lenders target vulnerable populations, including seniors on a fixed income. If you're approached by a lender offering to a loan product that just seems too easy or too good to be true, read every document thoroughly before agreeing to anything. Don't sign any documents that you haven't read or understood fully. It's a good idea to ask a trusted person to review any financial documents before you sign them because some scammers target seniors specifically and can appear legitimate at first. Avoid this by only doing business with trusted financial institutions.